How Could You Flip This Same Lesson? Figure 1: Flipped Learning Network's definition of Flipped Learning. What makes the concept of flipped learning so attractive for L2 (Second Language) education is the ability to turn one's classroom into an inspiring, creative, group-learning space free from the necessary (but often tedious) grammar lessons that can deaden a curious student's mind in no time flat. As Mark Twain once said: "The more you explain it, the more I don’t understand it." By moving grammar out of the classroom into pithy, colorful, and engaging digital lessons, the instructor can forego all the in-class explaining and turn the limelight back onto her or his students, where it should be. This module shows an example of how you can flip sessions in a foreign-language class. 1.2 and 1.3. Providing options of perception: In the PowerPoint presentations or videos, students encounter content aurally and visually. They summarize this content by writing it down on the worksheets. In class, they interact with the content by reading it, writing free-style with it, and/or play-acting it. They handle realia (actual items from the target culture) and produce imitations. 2.5. Illustrate through multiple media: The content is delivered via slide shows, videos, pictures, narrative, animations, music, graphs, tables, and physical movement. 3.1. Activate or supply background knowledge: Concepts are introduced digitally prior to application in the classroom. Connections are drawn from German to English to illustrate the origins and developments of and/or similarities between native and foreign tongue (e.g., Handy/cell phone; fehlen/fail; Schnecke/snake). Cultural details are traced back to their root causes to show causality. 3.4. Maximize transfer and generalization: Charts, tables, mnemonic devices, songs, and physical movement are used to anchor grammatical and linguistic concepts. 6.2. Support planning and strategy development: Each chapter concludes with a project that showcases students' mastery of the content learned. The planning and implementation of the project are mapped via a project planning template. 6.3 Facilitate managing information and resources: Seek to ensure that all worksheets serve as scaffolded guides to in-class activities, as they provide crucial explanations and vocabulary. 7.2 Optimize relevance, value, and authenticity: All content offered is socially relevant, cross-culturally responsive, and meaningful to adult students. Images, references, and names in examples are balanced by gender, drawn from various ethnic and racial backgrounds, and represent a variety of lifestyles. All module outcomes are clearly explained and linked with class activities and assignments. Projects invite active participation, use of imagination, and personalization. Self-evaluations and individual commentaries or questions are collected on each worksheet. 8.3 Foster collaboration and communication: Students interact in cooperative learning groups with clear goals, roles, and responsibilities. 8.4 Increase mastery-oriented feedback: Worksheets are assessed daily, with substantive and encouraging feedback provided. Most textbooks scatter word order rules throughout the chapters, perhaps stating in one chapter that the German verb in a declarative sentence must be in second position, graphing the position of questions with and without interrogative words in another chapter, and explaining the placement of "nicht" in yet another. So you may find yourself introducing and adding to the students' knowledge of word order rules several times during your Beginning German course sequence. In a standard lesson, you might introduce your learners to some word order principles (perhaps the inversion of subject and verb with a front field: "Ich kaufe heute ein." turns into → "Heute kaufe ich ein"), and then do a gap-filling activity to let them practice these rules, perhaps in pairs to promote communication. There is, of course, nothing wrong with explaining and reviewing. BUT — notice how much you have dominated the class communication so far. Even if your students worked together, they have produced utterances guided by you/or and circumscribed by the textbook. Instructors who do any of those things run a teacher-centered classroom. As "a sage on the stage," such teachers show or tell, and students follow their lead. As a result, L2 communication tends to be one way. In this example, the instructor-generated explanation and textbook-guided application of the linguistic content means that the students passively encounter the material. They produce very little language on their own and none is authentic. To turn this same lesson into a flipped learning experience, you would first identify all instances in which you, the instructor, provide information. That means: explaining grammar, providing cultural background information, comparing the German and English languages, or introducing vocabulary, to name a few. These moments can then be moved outside of the classroom, for instance in the form of a PowerPoint presentation or a video. You may be able to find a suitable video on YouTube or another educational channel. Just be certain to review it for errors before adopting it. A great option, however, is to create your own content. Here is a generic review PowerPoint presentation I made for my college students. I consider it generic because it's "grammar undiluted" and not contextually embedded in a chapter topic. This video, ten seconds shy of 5 minutes, is assigned as homework watching. To ensure that all students have absorbed the content, a worksheet is also assigned. I use MS Word to create my worksheets, but lock them for editing so that students can only type into the form boxes provided. This keeps the worksheet's formatting the same on all students' electronic submissions and permits quicker viewing later in a busy classroom, when I look over my learners' shoulders as they are working in teams. Students are asked to fill out the Zuhause [at home] portion of their worksheets, save them on their devices, upload them to our LMS (Learning Management System; in our case, Blackboard), and print them for our next class session. Class begins by us quickly checking the accuracy of the information entered on the worksheets. It is very important to ensure that all learners have done the prerequisite work. As long as students attempted to answer a question at home (hence the use of a fill-in form, which cannot be altered in class) and then correct any errors during our class discussion, they don't lose any points. Above is the worksheet that accompanies this and one other review video (not shown). I use these videos only to review the older grammar items of word order and present perfect plus to reactivate weather vocabulary, and thus have only rudimentarily contextualized the in-class exercise. The students then work in teams as they write their stories about the weather last year. They choose whether to compose a crazily unreal weather tale or to faithfully recycle the old vocabulary. As they work, I circulate as a "living dictionary" and instructional guide. Students are strongly encouraged to speak German with each other; this early in the semester, they will only lose 7% of their worksheet grade for speaking English. This gives them an incentive to stay within the target language, but doesn't penalize them too much if they cannot do so yet. It is hard for them, particularly if they placed into my course from a more lenient instructor, but they learn to appreciate the pressure to produce German utterances as it makes them much more fluent by the end of the term. At the conclusion of the class session, learners check the appropriate boxes on the self-assessment segment and I collect the worksheets, which I already checked during my in-class perambulation and which thus only need a cursory glance-over for grading (I see this type of grading as a formative assessment; it is accompanied by online quizzes that may be retaken until the student is satisfied with the quiz score). At the start of our next class session, my learners receive their graded worksheets back and can refer to them during our next in-class task. They have instant feedback on the previous work and a built-in reference text for the task at hand. Because this module focuses on flipping just one lesson, I will not go into greater detail how this one lesson fits into an entire chapter's lesson plan. I do want to point out that each lesson represents one task, or one step, toward a larger project. Thus, all of the tasks advance students' L2 skills in a carefully scaffolded manner, building on each day's knowledge and reinforcing previous learning. By shifting my grammar explanations out of the classroom, I have gained invaluable extra time for hands-on practice of the target language. Because the review material is presented in video format, students can slow it down, rewind, repeat, or speed it up. They are independent of the instructional pace set by the teacher. Students become active learners who are held responsible for transforming pre-class information into usable knowledge. By preparing themselves for our class session, they are adopting the habits necessary for self-regulated, life-long learning (Some will not like this new obligation and will resist it. This is a challenge.). Although I have established a modest linguistic parameter (e.g., the weather topic, told in present perfect tense), my learners are free to express personal meaning and thus assume control and autonomy over the task at hand. I am available to assist during the most complex phase of a lesson: the practical application of L2 content. By teaming experienced learners with those who still struggle, I create multiple mini stations of L2 instruction in my classroom and promote leadership skills in the "deputy teachers". With completed worksheets in hand, students obtain tangible proof of their growing ability to communicate meaningfully in the target language. The classroom has been turned into a student-centered space of collaboration and creativity. Because the students are speaking German during class time, they practice their language skills more consistently than if I were to call on them individually to read a sentence here or provide an answer there. Offering content in tactile, kinesthetic, visual, and aural formats (through realia, dances, gestures, videos, Power Points, audio files, songs, and student-designed materials like posters, advertisements, and skits) caters to a greater group of learners than the standard textbook-assisted approach. Students are encouraged to move through the classroom to ask peers or the instructor for assistance. For the summative assessments at the end of a chapter, they demonstrate mastery in group-designed skits, which rely on individualized action and expression rather than demonstrating their learning on paper tests. All learning styles are welcome in the flipped classroom: students may produce language spontaneously during classwork or peruse the worksheets in advance at home to pre-construct their contributions, thus lessening foreign-language performance anxieties. The completed worksheets serve as snapshots of lower-level cognitive information ("cheat sheets") necessary to carry out in-class tasks, a strategy that frees up working memory to perform higher-level, critical thinking. The roles in each group project (the end-of-chapter skits) are self-chosen, thus letting some learners be leaders and others followers. Roles can be freely exchanged for each skit so that all have the opportunity to improve their leadership and collaborative skills. This strategy also allows groups to benefit from the combined strengths of their members, e.g., the writing skills of one peer and another's technical expertise. It allows activation or interpretation of background knowledge, depending on personal interest and ability. Last, but certainly not least, the learners are assessed on the demonstrated, practical use of the target language, not the rote memorization of vocabulary and grammatical accuracy. This ensures better grades, more confidence, and overall greater success in L2 acquisition. SpeakingLatino.com (first steps toward flipping a Spanish classroom; by Analiza Torres; no date). Bell, T.R. (2015). The flipped German classroom. In A. Moeller (Ed. ), Learning languages, explore cultures, transform lives (pp. 17-38). Richmond, VA: Terry. Boovy, B. (2016). Found in German beyond the classroom: from local knowledge to critical language awareness. Die Unterrichtspraxis/Teaching German49(2), 140-146. Buitrago, C.R. (2016). Flipping my EFL at ÚNICA. CRB’s EdTech and ELT Blog. Retrieved from http://crbsedtecheltblog.blogspot.com.co/2016/11/flipping-my-efl-classroom-at-unica.html. Buitrago, C.R., & Díaz, J. (2016). Our experience flipping EFL at Universidad De La Sabana in Colombia. FLIP Learning. Retrieved from http://flippedlearning.org/grade_level/higher_ed/our-experience-flipping-efl-at-universidad-de-la-sabana-in-colombia/. Chevalier, J. (2012). Flipping it. Reversed instruction in the foreign language classroom. Dept. of Languages and Cultures, US Naval Academy. Retrieved from https://tinyurl.com/k3ulkej. Degener, J. (2017). Language learning by video message. Goethe Institut. Retrieved from https://www.goethe.de/en/spr/mag/20940664.html. Euler, S.S. (2017). Utilizing the project method for teaching culture and intercultural competence. Die Unterrichtspraxis/Teaching German, 50(1), 67-78. Fausto, P. (2014). Flipping your EFL classroom? Go ahead! eLearning Industry. 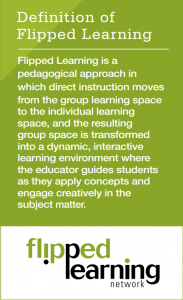 Retrieved from https://elearningindustry.com/flipping-efl-classroom-go-ahead. Hsieh, J.S.C., Wu, W.V., & Marek, M.W. (2017). Using the flipped classroom to enhance EFL learning. Computer Assisted Language Learning 30(1-2), 81-96. Jensen, Birgit A. Flipped learning in my beginning German courses. Retrieved from http://jensensflippedgerman.blogspot.com/. Lage, M., G. Platt, & M. Treglia. (2000). Inverting the classroom: a gateway to creating an inclusive learning environment. Journal of Economic Education, 31, 30-43. Meyer, E., & Forester L. (2015). Implementing student-produced video projects in language courses: guidelines and lessons learned. Die Unterrichtspraxis/Teaching German 48(2), 192–210. Muldrow, K. (2013). A new approach to language instruction – flipping the classroom. The Language Educator. Retrieved from https://www.actfl.org/sites/default/files/pdfs/TLE_pdf/TLE_Nov13_Article.pdf. Schallié, C., & Thorson, H. (2012). Jetzt machen wir hier mal Multikulti: fostering critical engagement with multiculturalism through peer-assisted language learning. Die Unterrichtspraxis/Teaching German, 45(1), 53-66. Stewart, B.L. (2016). A flipped learning design for foreign language learners. Retrieved from https://benjaminleestewart.blogspot.com/2016/08/a-flipped-learning-design-for-foreign.html. Strayer, J. (2012). How Learning in an Inverted Classroom Influences Cooperation, Innovation and Task Orientation. Learning Environments Research, 15(2), 171-193. Witten, H.A. (2016). Flipping my Spanish classroom. Retrieved from http://spanishflippedclass.blogspot.com/. Witten, H. (n.d.). Foreign language flipped class resources. Retrieved from http://www.scoop.it/t/foreign-language-flipped-class-resources.